The mantra "breakfast is the most important meal of the day" holds true for good reason; breakfast improves your concentration, increases your metabolism and helps regulate your weight. From young professionals to laid-back surfers, early risers need fuel to kickstart their engines. 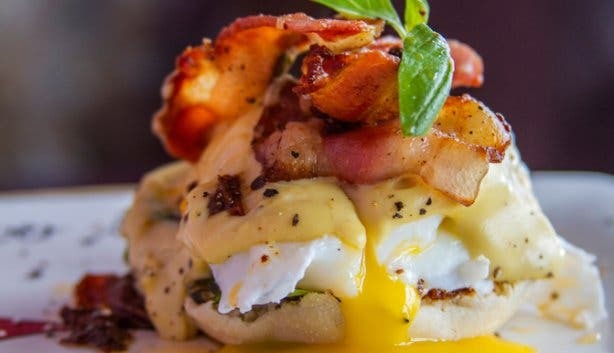 Luckily, Cape Town has its fair share of top spots that offer first-class breakfast pickings and there is no shortage of unique, one-of-a-kind breakfast places prime for getting the day rolling in the right way. 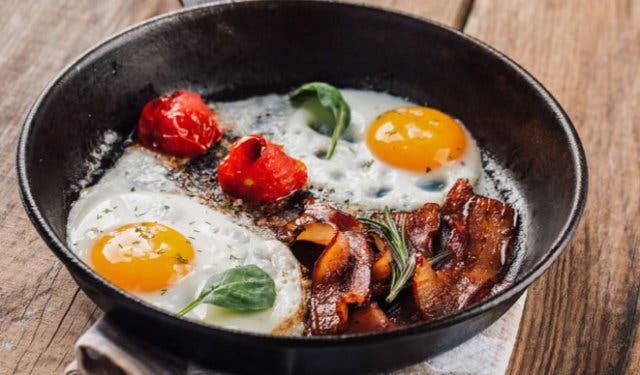 From a full English brekkie to a humble cuppa joe, offerings are vast and varied, and we’ve compiled a list of some of the best breakfast pit-stops that Cape Town has to offer. 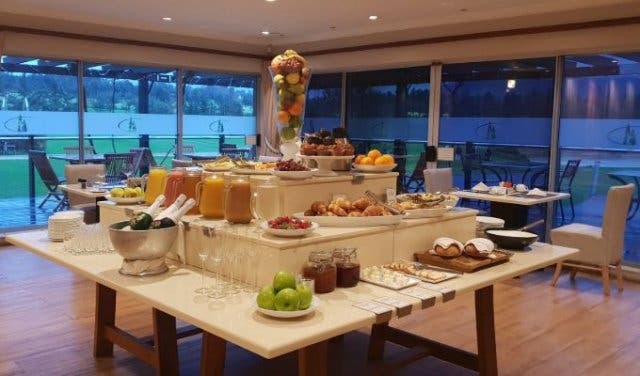 Tuck into a bubbly breakfast buffet for R190 while you watch the springbok graze on the golf course. You also have a choice of a hot breakfast menu item from their a la carte menu. The buffet includes freshly baked pastry, fresh seasonal fruit, different yoghurts, assorted sausages and a cold meat platter, as well as vegetarian options. This golf and wine estate is nestled among the hills of the Bottelary Valley in the heart of the Stellenbosch Winelands, just a 30-minute drive from Cape Town. Read more about Devonvale Golf and Wine Estate. Hours: Breakfast is served from 7am to 10:30am daily. Cafe food reaches a new level with beautifully plated eats that are so delicious, wholesome and Insta-worthy that you’ll be coming back for more. 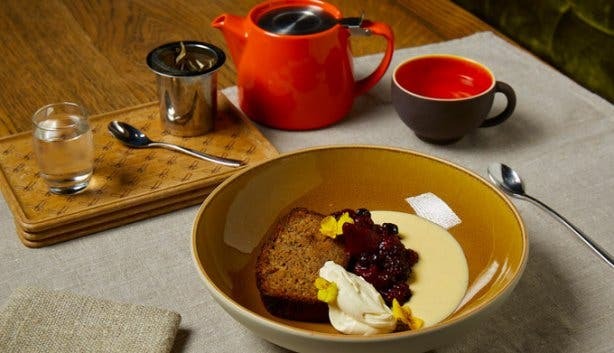 Think smoothie bowls, pastries, delicious breakfasts such as their famous Avo Poached Eggs and meals including plenty of vegan and vegetarian options, all prepared from scratch by a classically trained chef. 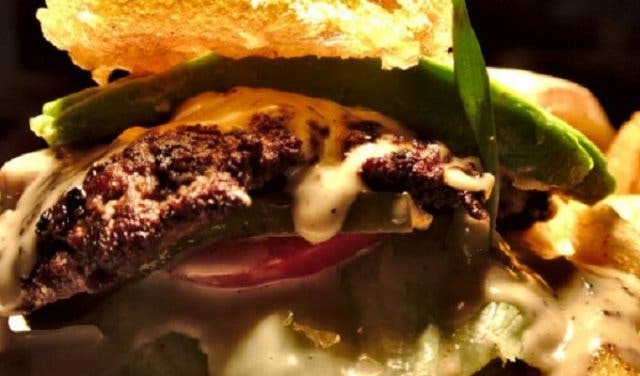 The kitchen utilises fresh, organic and certified ethical and free-range local and imported ingredients with a focus on flavour and quality. By popular demand, they will soon be Opening on Sundays for “Breakfast Brunch” from 9am-12pm. Read more about Ground Art Caffe. Coco Safar has a range of breakfast options to start your day off right – from banana bread to a Belgian waffle and chicken. Open from 7am during the week and 8am on weekends, you can choose between sweet or savoury breakfasts, which you can pair with the delicious one-of-a-kind brewed coffees and teas at Coco Safar. Everyone knows breakfast is the most important meal of the day and at the Cape Quarter has made sure you’re spoilt for choice. 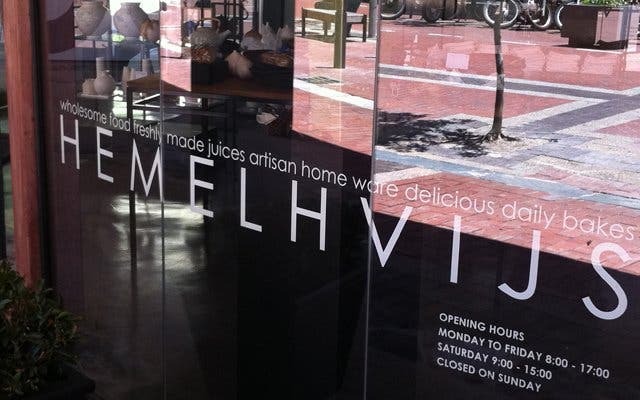 This stylish lifestyle village in Green Point has loads of yummy brekkie spots and foodie shops for you to enjoy your morning meal. Whether you’re the eat-on-the-go type or prefer to sit with friends and enjoy your eggs and coffee, visitors to the Cape Quarter are truly spoilt for choice. 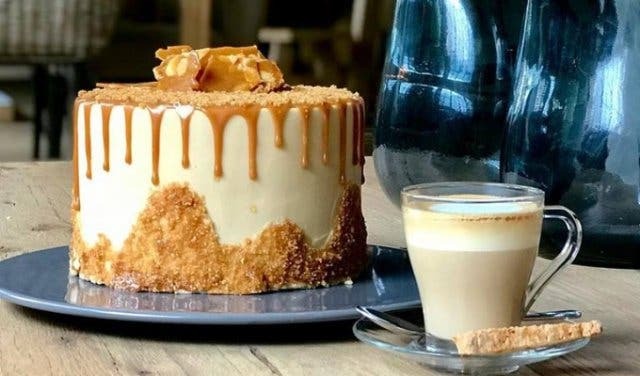 From expert blends and roasts at Bootlegger to mouth-watering macaroons at Daniela’s Deliciously Decadent, Cape Quarter has it all. Grab one of Vida e Caffe’s infamous cappuccinos or pick up a freshly pressed juice at The Fresh after gym. 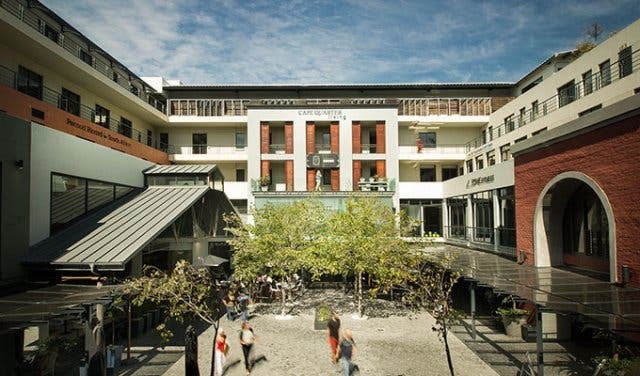 The centre is open seven days a week with an abundance of undercover parking bays available across a number of floors – there is no excuse but to check out yummy breakfasts and shopping options at Cape Quarter in De Waterkant. Serving scrumptious breakfasts from early, this trendy city centre café is conveniently located for those who work and live near Long Street. Thanks to a hip 2012 renovation, the little eatery features an exquisite design and a distinctive modern continental. Early risers can choose from a list of gorgeous gourmet breakfasts, such as the Scramble Delight, or can opt for freshly baked breads and pastries (we recommend the croissants). Breakfast is served from 6:30am – 5pm, Mondays to Fridays, and 8:30am – 4:30pm on Saturdays. Prices vary between R30 and R60. Situated in the lobby of the Hilton Hotel on Buitengracht Street, which is one of four halaal certified hotels in Cape Town 126 Cape Café juxtaposes a contemporary feel with traditional Middle Eastern elements, including lamps, shades and lights with gold Eastern touches. The selection of meal options is versatile enough to have at any time of day. From the Malay-Spiced Smoked Snoek Pate and Toast, to the Cape Mini Club for those with a larger appetite. 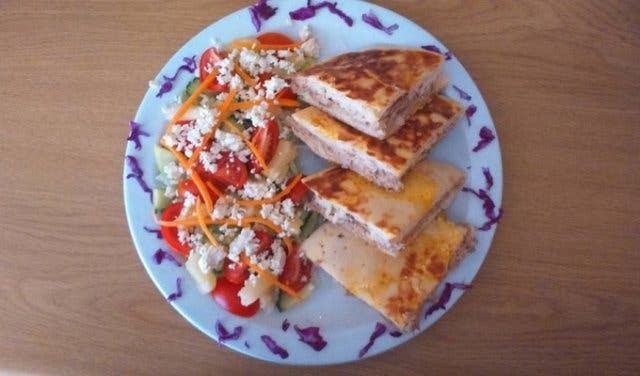 This delicious meal consists of grilled chicken breast, macon, egg, and cheddar cheese, served with a side salad, add the freshly squeezed seasonal juices to your selection to wash it all down. 126 Cape Café also offers healthier alternatives such as the Green Smoothie, made with apple, grapes, kiwi, cucumber and spinach or the Banana Passion Smoothie made with fresh banana and passion fruit, blended with plain yoghurt and honey. 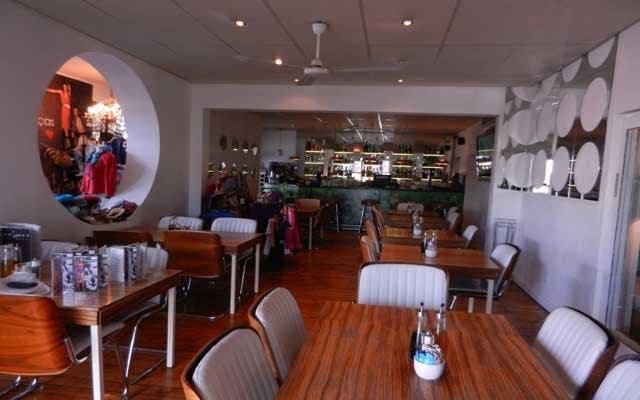 This Tamboerskloof Portuguese-Italian eatery is as well known for its retro feel and local vibe as it is for its reasonably priced breakfasts (some are less than R20). Though, just because its cheap doesn’t mean it’s nasty, in fact, it boasts an extensive breakfast menu that features everything from scrumptious South African-style pancakes to hearty Mediterranean-style meals. The Portuguese Bloody Mary is a house favourite, and is apt at taking off the edge as is a gander through the racks of the restaurant’s vintage clothing. The restaurant serves breakfast from 8:30am to 6pm from Tuesday to Sunday. This popular, city centre hangout has – thanks to a full facelift - gone from a hippie-chic diner to a sophisticated bistro-style café. The day’s specials feature on a chalk board menu and usually include fresh, seasonal delights that entice both veggies and carnivores alike. 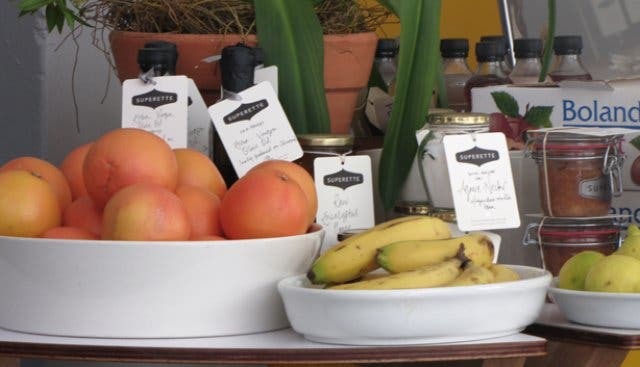 On offer are some delicious, freshly-squeezed juices, a variety of omelettes and other delectable morning favourites. Breakfast prices vary between R50 and R100, and are served Mondays to Sundays between 7:30am and 12pm. Healthy, home-made delights are priority at this ‘urban-farm store’ nestled in the heart of Cape Town. Day in, day out, Crave satisfies the cravings of busy, city office workers with food made fresh on the day; all food that’s not sold by the end of the day is donated to charity. Try a Bulgarian yoghurt pot with muesli and berry compote, or a lemon and poppy seed muffin. Breakfasts cost less than R30, and are served from 7am – 4:30pm, Mondays to Fridays. With its ever-changing interior space and whimsical displays of fresh flowers and curios, Hemelhuijs, an upmarket design-inspired eatery of sort, will offer you a much-needed escape from the hustle and bustle of the surrounding city life. On their breakfast menu is a healthy assortment of dishes, including cinnamon and oats with double thick yoghurt, as well as the very popular poached egg with hollandaise and smoked trout/ proscuitto. Breakfast is served all day, from 9am – 4pm (Mondays to Fridays), and from 9am– 2:30pm on Saturdays. Dishes are reasonably priced and cost between R30 and R95. 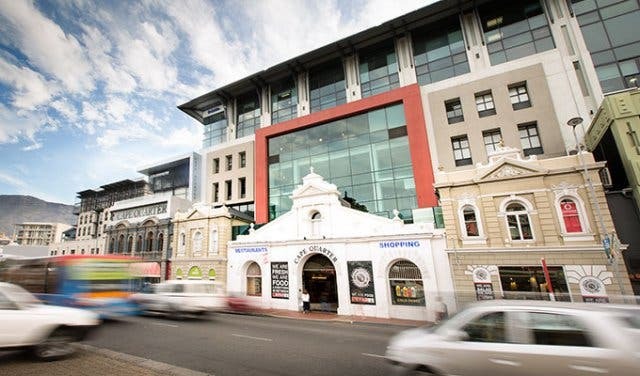 Albert Road’s Bromwell Boutique Mall is one of the most striking buildings in town- its heritage good looks and dashing red coat may catch the eye, but it is the easy elegance and seasonal artisanal menu of its in-house café that capture the heart and stomach. With a bakery and patisserie offering delicious home baked loaves and pastries, patrons are spoiled for choice when it comes to wholesome and hearty ways to start the day. First-class coffee and an excellent selection of fine teas complement an extensive, but inexpensive, breakfast menu. 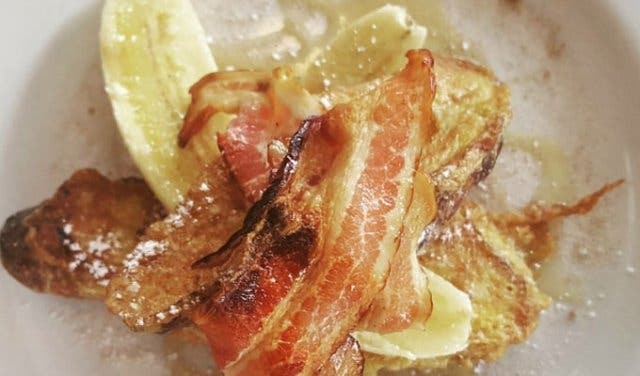 ‘The Elvis’, a decadent tower of peanut butter and banana on farm bread, topped off with maple syrup and smoky bacon, is a firm favourite at only R45. 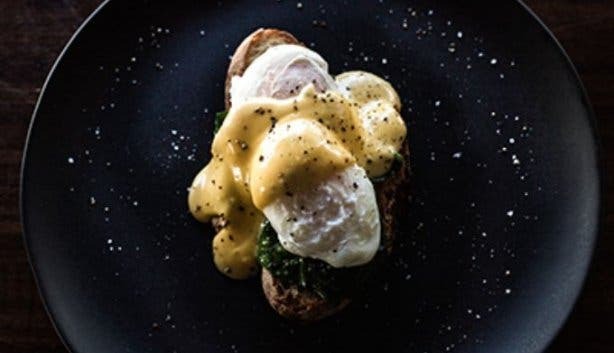 Bite into a perfectly flaky almond croissant for R22, or sample the chef’s signature Bread Benedict at R75. Breakfasts are served until midday, and with a plush tea salon and airy outdoor terrace to relax in, there’s no fresher way to start the day. Situated on the Northern slope of Table Mountain nestled behind the famous Rhodes Memorial, this unique destination restaurant and tea garden is known for both charming breakfasts and breathtaking vistas. Boasting not only a panoramic view of Cape Town’s northern suburbs and winelands’ mountain ranges, it’s one of the few vantage points from which both the Atlantic and Indian oceans can be seen. Before heading out for a gruelling hike among the picturesque environment, fuel up on their Full English Breakfast or their delicious smoked salmon and scrambled eggs on a toasted bagel. The restaurant is open for breakfast 7 days a week, from 9am-11:30am, and you can expect to pay anything between R30 and R60 for their breakfast fare. 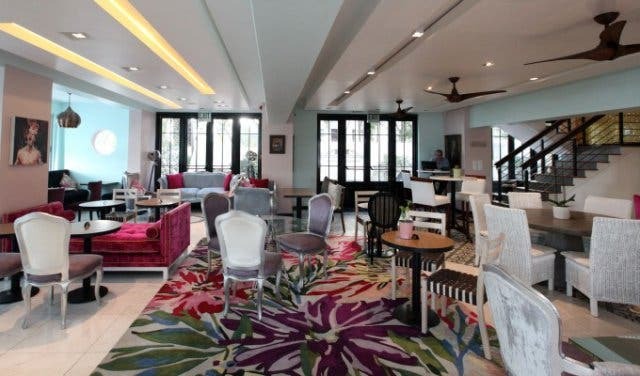 Set in the uber trendy Woodstock Exchange, this vibey cafe is the renowned stomping ground of hipsters and other ‘cooler than thou’ members of the local populace. The small kitchen in the back works wonders to create delicious treats, including the popular All Day Breakfast Sandwich, consisting of sourdough bread topped with scrambled eggs, bacon, roasted tomatoes and rocket. The hearty breakfasts served at this trendy establishment will set you back around R50; morning meals are served Mondays to Fridays, between 8am and 3:30pm; and Saturdays from 8am – 2pm. This stylish lifestyle village situated in Green Point hosts a plethora of yummy brekkie spots and foodie shops for you to enjoy your morning meal. 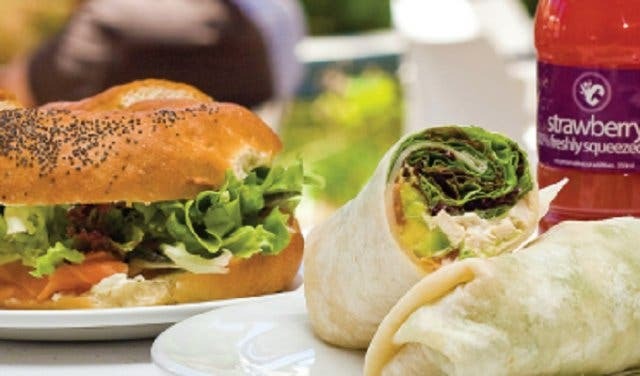 No matter whether you’re the eat-on-the-go type – coffee in one hand, breakfast roll in the other or rather the sort that likes to sit down and revel in your breakfast spread, visitors to the Cape Quarter are truly spoilt for choice with their many available breakfast options. From expert blends and roasts at Bootlegger Coffee Company and delightful mouth-watering macaroons at Daniela’s Deliciously Decadent to a wide variety of healthy and nutritious cold pressed juices at Cold Press and yummy Italian brekkie treats at Alforno Café and Bistro – whatever you morning vibe and palate is, Cape Quarter has it all (and more). Other delicious breakfast places include Yumcious, Vida e Caffé and La Petite Tarte, to name but a few (for a full restaurant directory visit the Cape Quarter website). Open seven days a week with an abundance of undercover parking bays available across a number of floors – there is no excuse but to check out Cape Quarter’s yummy breakfast offerings. 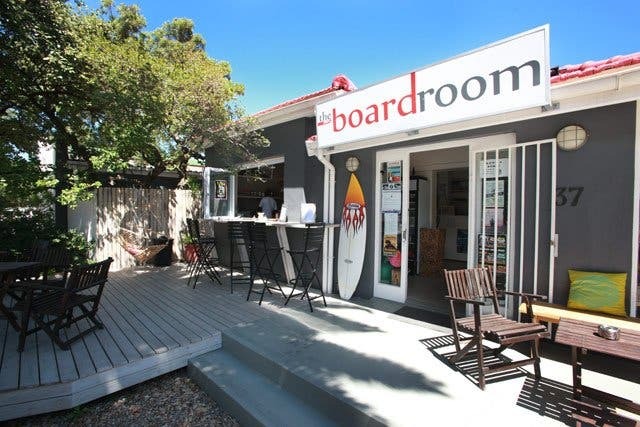 Beloved by locals due to its down-to-earth atmosphere and stunning views over Surfer’s Corner, the Empire Café delivers unfussy, hearty breakfasts accompanied by great coffee. Breakfast options range from pastries to a hearty Full English, but the simple yet delicious scrambled eggs on bruschetta seems to be a firm favourite among regulars. Breakfast is served between 7am and 12pm, Mondays to Sundays, and costs around R50. This laid-back Hout Bay café and crêperie bar has a shaded deck that provides patrons with the perfect spot for an early morning breakfast. Ta-Da! is famous for its delicious coffees and crêpes as well as for its freshly squeezed juices and healthy smoothies. Try the signature ‘Fat Freddy’ (salami, scrambled egg, mozzarella, sweet corn, jalapeños and tomato relish) or tuck into the much-loved 'What the Fudge’ (homemade melted fudge, banana and toasted almonds) if you have a bit of a sweet tooth. The dishes are priced between R23 and R62 and are served from 8am – 5pm from Monday to Friday, and from 8am – 4pm on weekends. This little urban refuge in the bohemian neighbourhood of Observatory offers sweet and savoury breakfast delights, including a Full English fry-up, and flapjacks with banana, maple syrup and nuts. 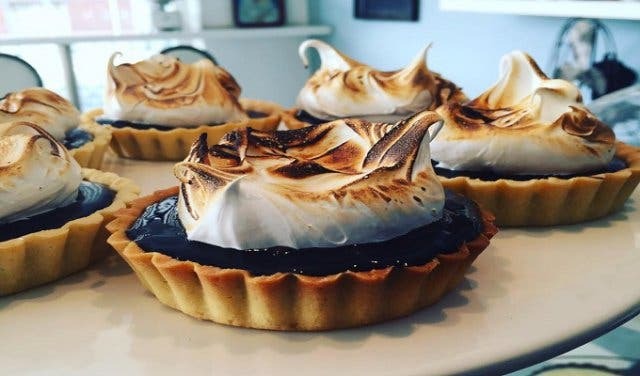 After the obligatory metabolism-starting morning meal, you can also take home some of the delectable tarts on display to enjoy with the rest of the family! The breakfast menu is displayed on a small black board that changes regularly, but in general, you can expect to pay between R30 and R50. Breakfast is served from 8am – 3pm from Mondays to Fridays, and from 8am – 2pm on Saturdays. Previously known as De Oude Bank Bakkerij, the quaint Schoon De Companje in Stellenbosch has gained quite a reputation for its masterfully baked artisanal breads, made daily on the premises. To make the most of the fresh doughy offerings, opt for the simple yet delicious bacon and egg on sourdough bread, priced at around R50. Breakfast is served Tuesdays to Fridays, from 8am – 3pm, and weekends from 8:30am – 1pm. Ideally positioned on Main Road in the gourmet capital of the winelands, Essence Restaurant and Coffee Bar affords patrons beautiful mountain views from atop a shady deck overlooking a trickling stream. Relax on comfortable couches while reading the newspaper, or tuck into their popular breakfast picking, the Essence Supreme; the dish consists of two slices of toast topped with curried mince, two eggs and cheese. Breakfast is served from Monday to Sunday, from 8am – 11:30am, and will cost you around R40. 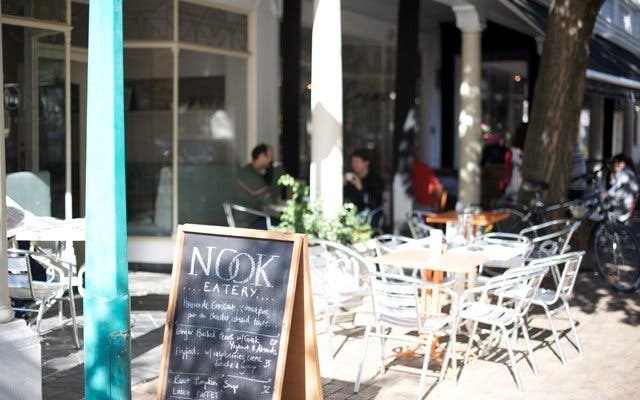 Located in the centre of Stellenbosch, this café resembles a quaint kitchen with a ‘nook’ style dining area that sets the tone for the laid-back fare. Patrons are spoiled for choice with a comprehensive breakfast menu offering an array of healthy and decadent breakfast items, including homemade granola, fruit with yoghurt, Croque Monsieur and poached eggs. Breakfast is served from 8:30am - 11:30am from Tuesdays to Saturdays, and will cost you between R20 and R45. Spend your weekend mornings at some of Cape Town’s reputable markets, where you can fill up on some local fare and see the latest in fashion and trends. Open early, these bazaars have gained a steady following among locals based on their offering of delicious, homemade treats and local produce, as well as a range of fashion and jewellery. See our list of Cape Town’s Top City Centre Markets. Instead of kickstarting the day within the usual weekend breakfast venues, take a drive along the beautiful Atlantic Coastal road to the village of Hout Bay. Every Sunday between 10am and 4pm, the Hout Bay Craft market plays host to local producers that offer some delicious and nutritious meals and snacks, as well as beautiful leather and steel work and creative artworks. Feeling a little bit more adventurous. Take a look at our list of other markets in the Cape Town surrounds. Have an early Mother’s Day by taking mom for a Saturday morning workout at Val De Vie estate at Chase The Sun. Boost your week with a hump day adventure with sunrise kayaking. More of an early riser? 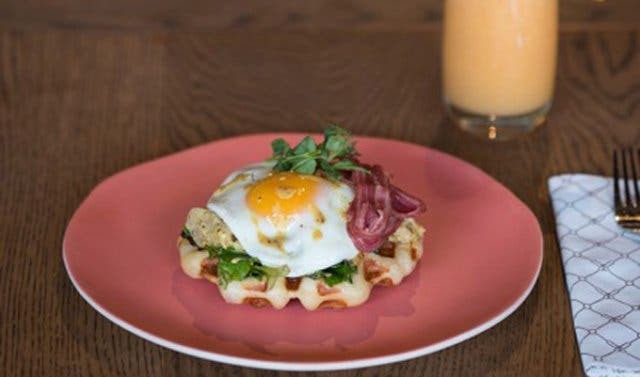 Have a look at our top places to eat breakfast for your first meal of the day. Also, check out our selection of All-day Breakfast Spots in Cape Town. While we're at it, be sure to visit Cape Town's first authentic Parisian crêperie for your fix of crêpes. 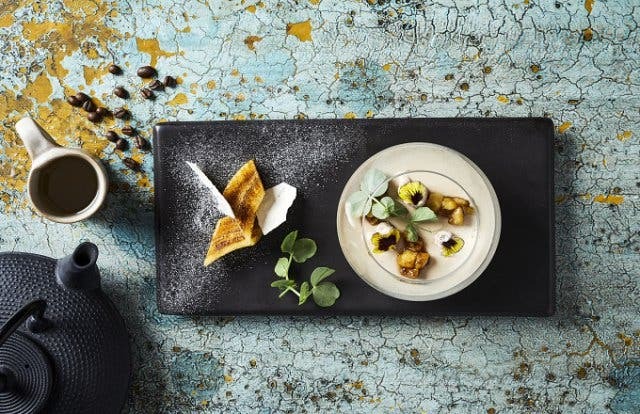 Get SA food with an international flair at The 41 in Camps Bay.